Audley Castle was a motte fortification built in either the late eleventh or twelfth century to oversee the associated manor. It served as the caput of the Audley family until circa-1233 when they relocated their main residence to Heleigh. Nevertheless, Audley Castle remained in use until at least the late thirteenth century. Audley Castle was built in the late eleventh or twelfth century to oversee the associated manor and control a main route to/from Newcastle-under-Lyme and Stoke-on-Trent. 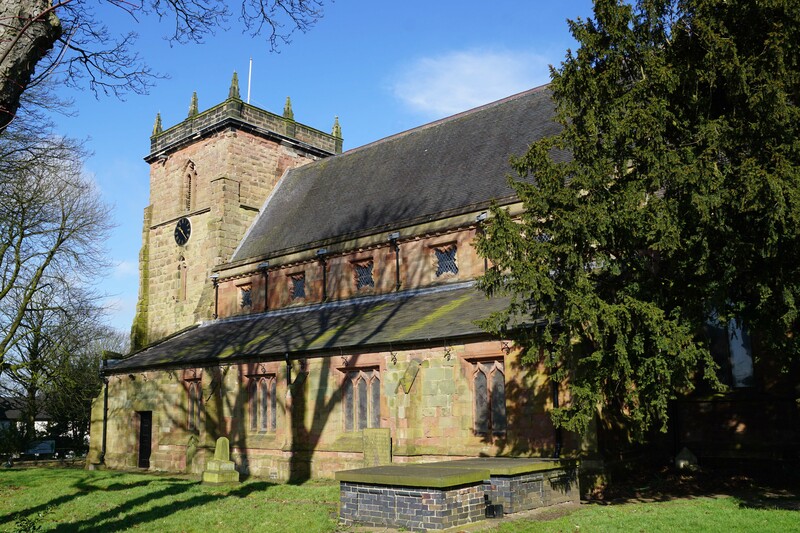 The Domesday survey lists the owner as Gamal, an individual who had owned the manor of Saredon in Staffordshire before the Conquest and had seemingly prospered under the Normans as by 1086 he had acquired Audley, Balterley and Talke. By the early twelfth century Audley manor had passed into the hands of a cadet branch of the De Verdon family from Alton who subsequently took Audley as their surname. It is probable that it was a member of this family that built the castle. The castle was situated on the northern end of a ridge of high ground with commanding views over the surrounding countryside. The natural plateau of the hill was converted into a flat-topped motte fortification. The earliest defences were probably timber but they were later upgraded into stone. The motte was surrounded by a ditch. The steep scarps on the east (and to a lesser extent the north) provided strong natural defences. A bailey may have extended to the immediate north of the motte. Around 1226 the Audley family started construction of Heleigh Castle to serve as their caput and work on the structure which was substantially complete by 1233. 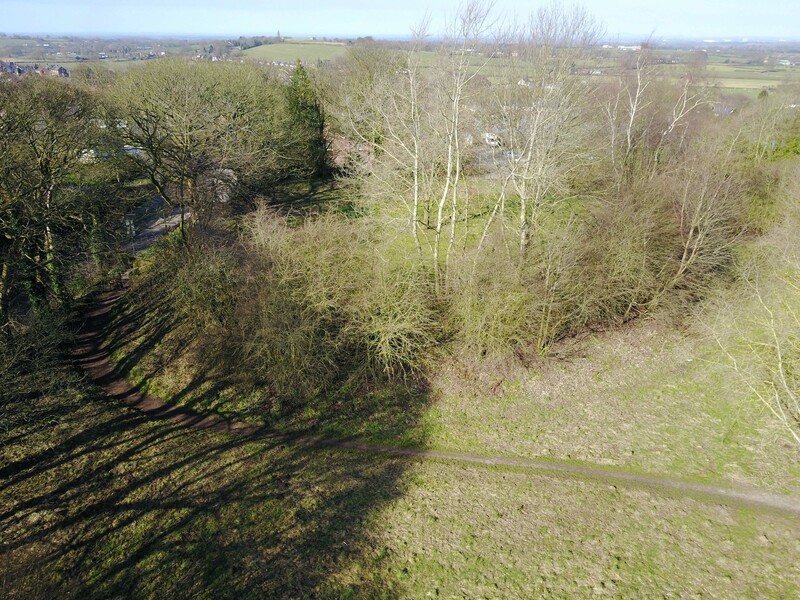 Nevertheless Audley Castle seems to have continued in use as it was mentioned in a charter dated 1275 when the family's lands were divided and this is supported by archaeological finds including a coin from the reign of Edward I.
Allcroft, A.H (1908). Earthworks of England. London. Fry, P.S (1980). Castles of the British Isles. David and Charles. Historic England (1994). Castle Hill motte, List entry 1011071. Historic England, London. King, C.D.J (1983). Castellarium anglicanum: an index and bibliography of the castles in England, Wales and the Islands. Kraus International Publications. Pettifer, A (1995). English Castles, A guide by counties. Boydell Press, Woodbridge. Salter, M (2001). The Castles of Staffordshire. Folly Publications, Malvern. Scrivener, A (1914). Excavations At Castle Hill, Audley. 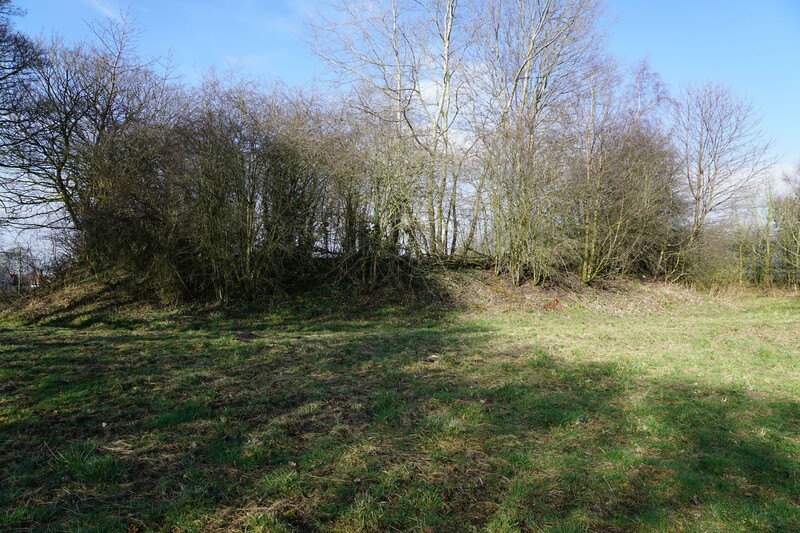 Audley Castle consists of the earthwork remains of a motte fortification. 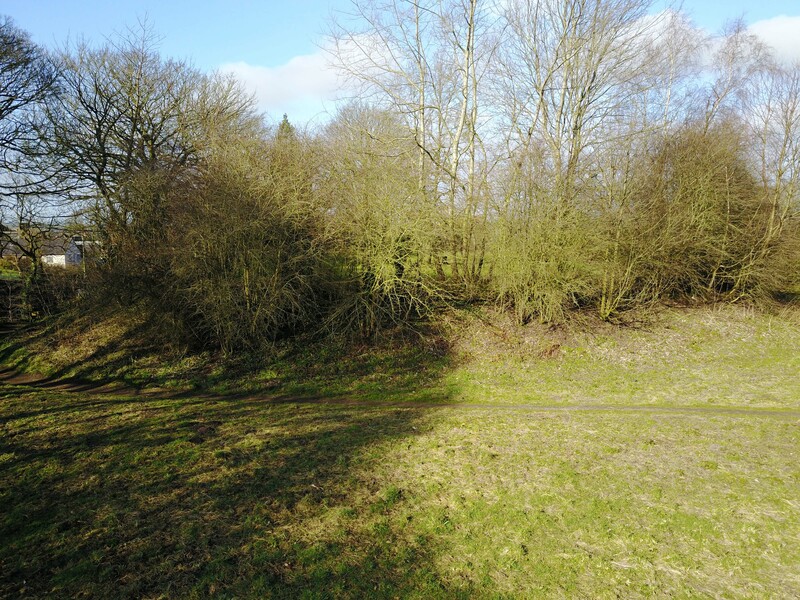 The earthworks are in a public park and freely accessible. 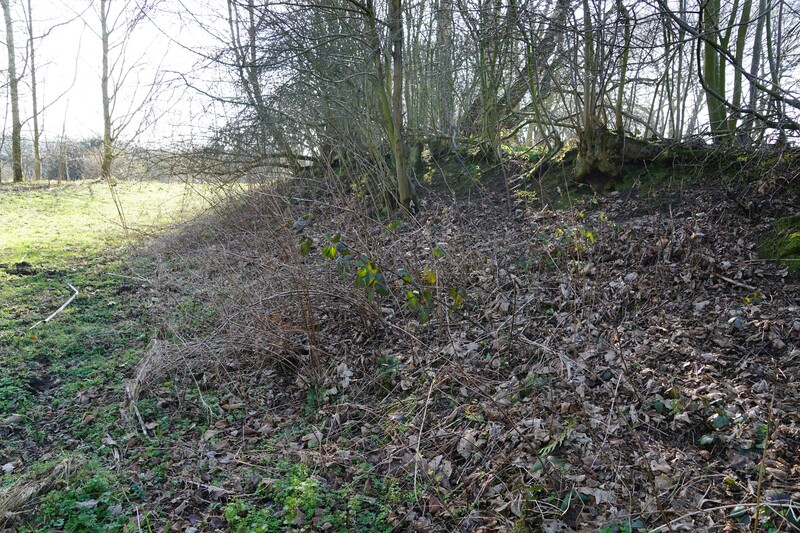 Audley Castle Motte. The castle was created by modifying the natural plateau of the high ground into a flat topped motte surrounded by a ditch. Castle Site. The castle occupied a ridge of high ground. Rampart. 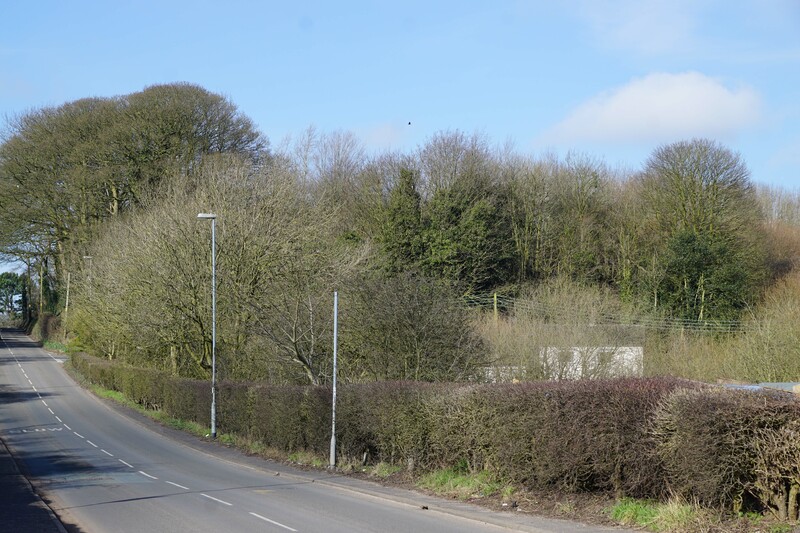 The earthworks have been significantly reduced in size by ploughing. Plaque. 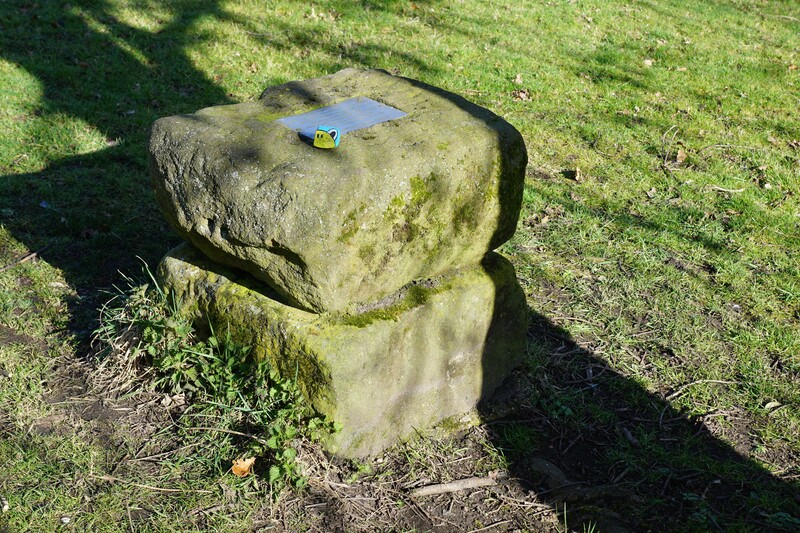 The castle site is marked by a small plaque. View. The motte had commanding views of the surrounding countryside. Summit. The interior of the flat topped motte would have hosted a variety of buildings including a Great Hall. Audley Castle is found directly off the B5500 (New Road) within Audley Millennium Green. On-road car parking is possible.